Super cool by Superkul architects. Great lighting and lighting fixtures throughout. Love that fixture in the light well, Chantal. Magical! Thanks again for your visit and comment. Glad you liked the doors! the white interior is just so clean and serene ~ love it!! 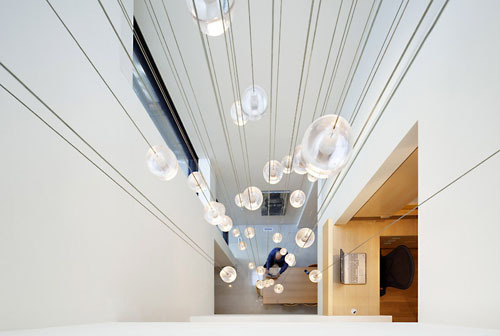 and those light fixtures = WOW.